Can you believe we’re already into the middle of the week? 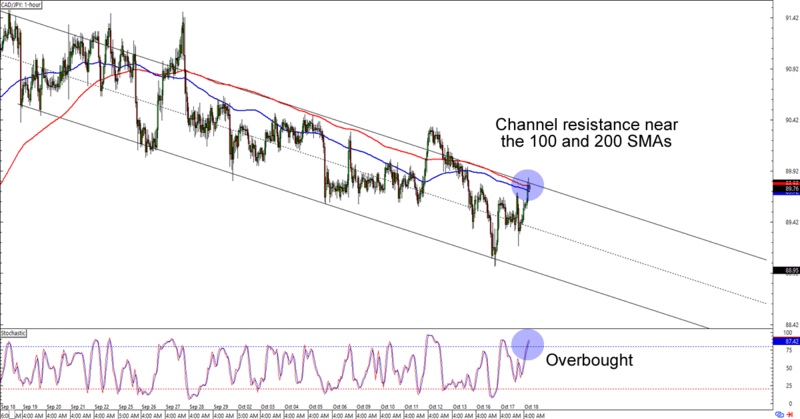 Get over the hump with these hot short-term forex trade opportunities on USD/CHF and CAD/JPY! 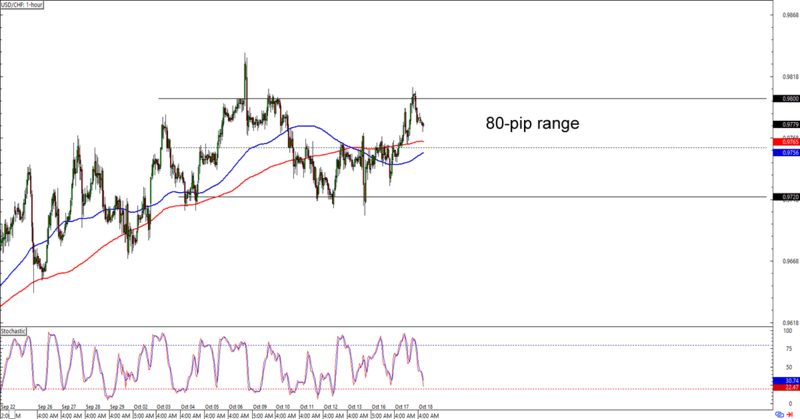 USD/CHF is confined in an 80-pip range with the .9800 major psychological handle acting as resistance. In fact, the pair has just bounced from the MaPs and it looks like it’s headed for the mid-range levels near .9750 or even the range support near .9720. Stochastic is about to hit oversold levels, though, so there might not be enough momentum to drag the pair significantly lower. If you think that this means we’re about to see an upside breakout and that USD/CHF will go back to its broken rising channel, then y’all might want to whip up your trading plans and start preparing for a breakout. But if you believe that the Greenback is still in for more losses against the franc, then you could short at current levels and place tight stops above the range. In any case, make sure you practice good risk management decisions when executing your trades! Trend warriors huddle up! CAD/JPY is having trouble breaking above the 89.80 levels, which isn’t surprising since it lines up with a falling channel resistance on the 1-hour time frame. What’s more, it’s also near the 100 and 200 SMAs! The cherry on top of this sweet setup is an overbought stochastic signal. Think forex bears will pay attention? Shorting at current levels could give you a nice reward-to-risk ratio especially if you aim for the previous lows near 89.00. Just make sure you place wide stops, aight? Remember, yen crosses like these tend to be more volatile than the majors!